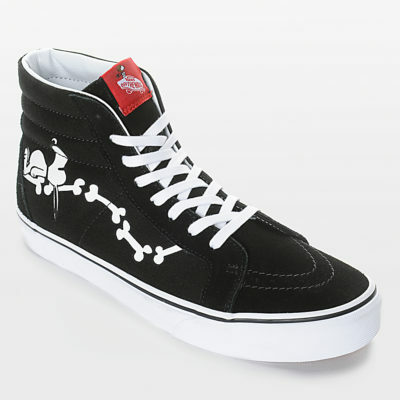 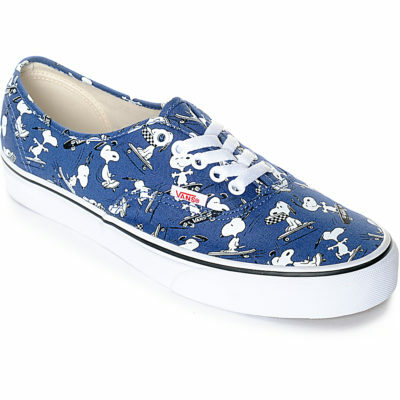 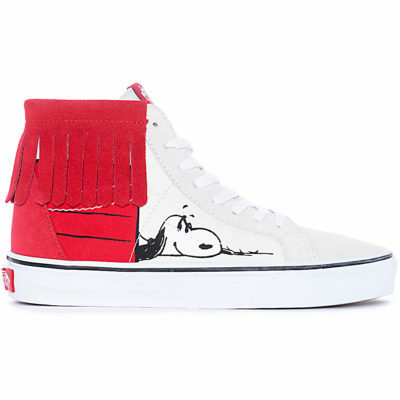 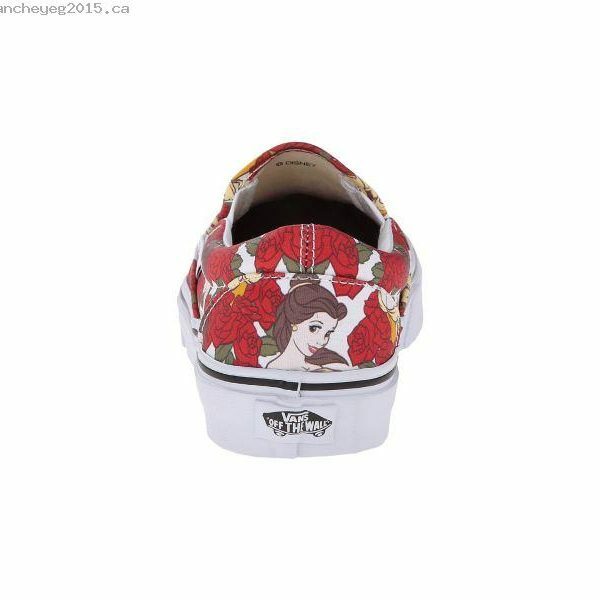 Vans and Disney come together for an enchanting collaboration that features some of the most beloved and iconic Disney Princesses. 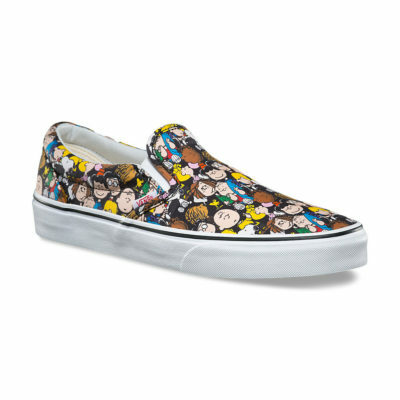 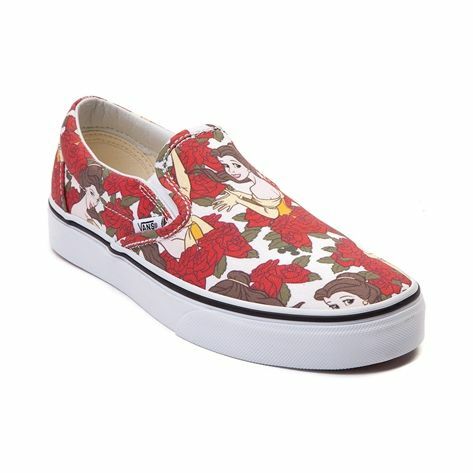 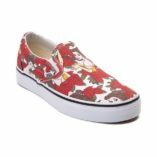 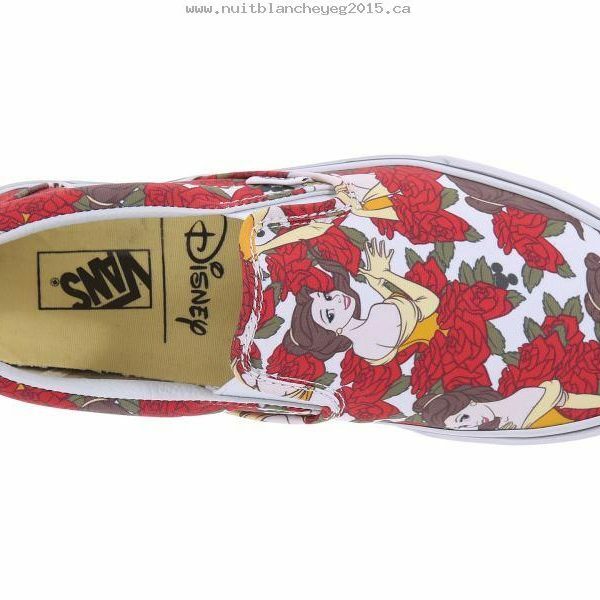 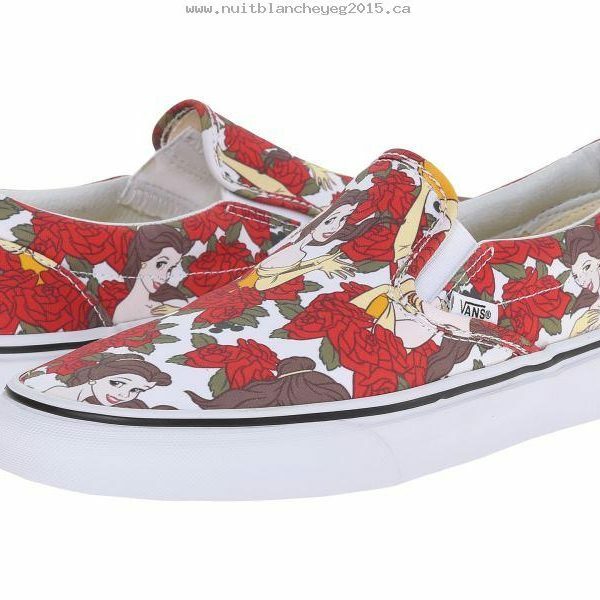 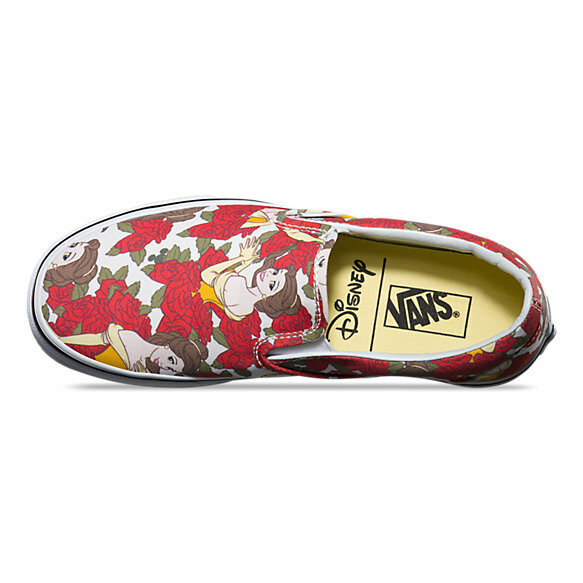 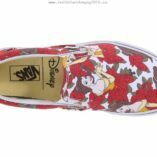 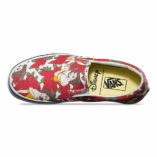 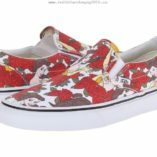 Bringing to life her everlasting story of adventure, the Belle Disney Princess Slip-On combines the iconic Vans low profile slip-on with a custom print of Belle, the ultimate bookworm, wearing her graceful yellow ball gown amidst a pattern of red roses. 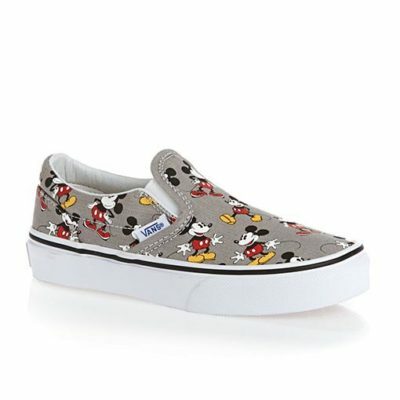 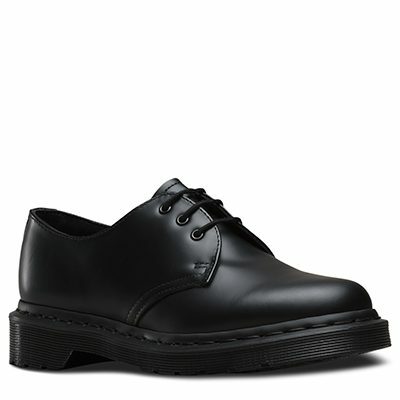 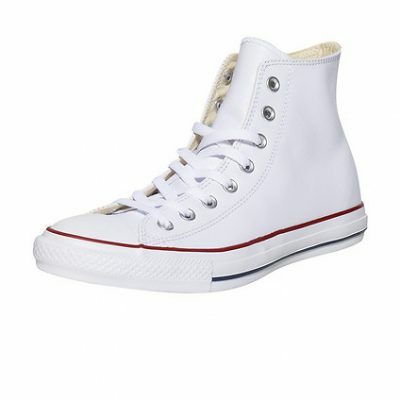 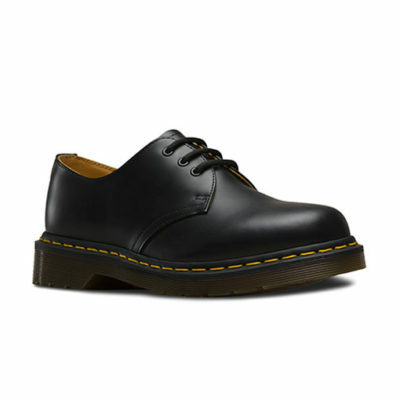 The Disney Slip-On also includes sturdy canvas uppers with elastic side accents, padded collar and heel counters, and signature waffle rubber outsoles.